Forestry owners and managers across Australia understand that forestry is an investment for the long-term – it can take a tree like Radiata pine over 25 years to reach harvest. But there are a lot of potential hazards that forestry managers have to take into account over a tree’s lifecycle – and it’s here that a policy such as carbon insurance can be a real benefit. There are good reasons to invest in forestry – the sector’s one way to sequester carbon out of the environment, turning trees into an important asset for landowners, forestry managers and investors. However, while there are reasons to be bullish about the country’s trees, plantation or commercial forests face a range of different risks to their future potential as the climate warms and extreme weather becomes more common. it would have endured numerous years of increases to temperatures. Of course drought is just one risk. Plantations across Australia will also face an increased risk of fire, as well as other extreme weather conditions like hail or windstorm – all of which can reduce a forest’s potential revenue per hectare. Because of these risks facing Australia’s plantations, here are answers to some of the common questions private plantation managers and investors have about carbon insurance, also known as forestry insurance. What does forestry insurance cover? A carbon insurance policy is designed to cover the key risks facing Australia’s plantation forests. These are primarily weather-related, damage related to fire caused by lightning or damage coming from hail and windstorms. All of these can be included in a carbon insurance policy. 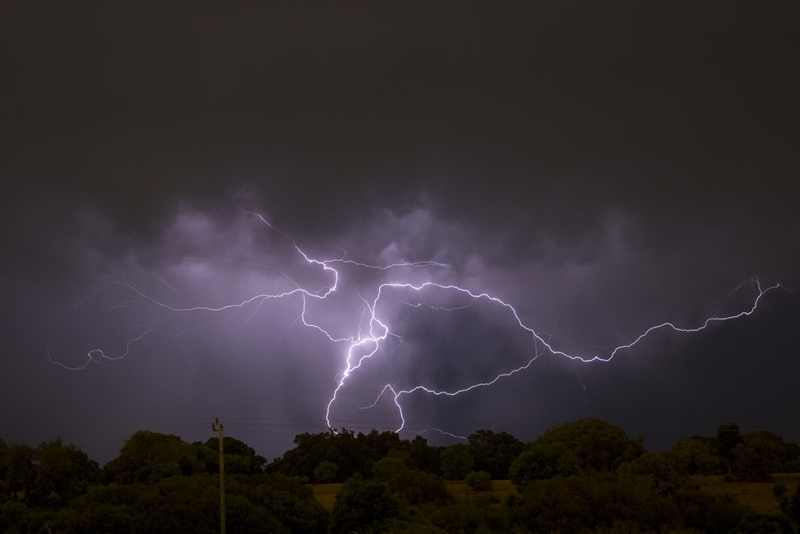 Lightning strikes are a common cause of fires that can destroy a forestry plantation. As well as natural phenomena, a carbon insurance policy will cover damage caused by fire that may have been started by humans. Fire coverage, for example, will extend to backburning as well as fires from malicious acts, such as deliberate arson attacks, that may destroy years of investments poured into a plantation. Finally, the policy can also cover more extreme events such as earthquakes and volcanic eruptions, but the relevance of this cover will largely depend on the forest’s location – forests in New Zealand, for example, will be liable here, while there are only a few areas of Australia where a forestry manager might need to think about earthquake cover. Any policy covering a forest is applied on the basis of a declared value per hectare. Determining this figure will depend on a number of different factors, such as the age of the trees, species and their location. Forestry managers are able to insure the carbon sequestration value by placing this value into the value per hectare of a plantation. Here at Primacy Underwriting, we make sure that all forestry blocks on a plantation are insured, so once this declared value per hectare is calculated, it can be applied across an entire plantation’s planted forest. 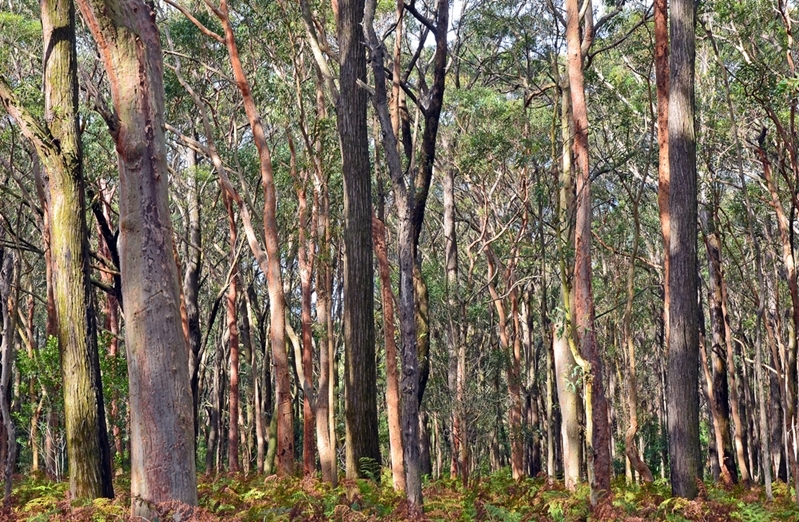 Eucalyptus is one of the most common hardwoods grown in Australia. Primacy’s insurance policy will largely mirror the types of trees Australian forestry managers are growing. With eucalyptus and pine making up the majority of the country’s managed forestry, our policy is designed with these trees in mind. In fact, of the 2 million hectares of forestry in Australia, almost half is in softwood species like Pinus Radiata, while 0.98 million ha are in hardwood – mostly eucalyptus species such as Ecalyptus Globulus, Nitens and others – according to the Department of Agriculture and Water Resources. This land produced 33.1 million cubic metres of logs in 2016-17, up 11 per cent on the year before. With the long growing cycles that come with forestry management, it’s crucial that owners take practical steps to protect their long term investment. However, while eucalyptus and pine species are the most commonly grown and insured trees in Australia, a carbon insurance policy can be adjusted for many other types of trees planted on a plantation. What are the benefits for a forestry owner? The key benefit for a forestry owner for having a carbon insurance policy is the peace of mind they bring. With the long growing cycles that come with forestry management, it’s crucial that owners take practical steps to protect their investment. Consider how far into the future it will take for a forest to mature – a young pine seedling planted today will be ready for harvest in the 2040s – and it makes sense to insure against possible risks that will come with these changes. The latest international climate treaty, the Paris Accord, asked countries to aim for a maximum change in global temperatures this century of 1.5 degrees. Even if the world is able to keep within this upper limit for temperature change, today’s seedlings are going to live through a very different climate to what produced the mature trees now being felled for lumber. There are many different ways forestry managers can mitigate these risks to improve drought resilience, for example. However, having the right carbon insurance in place will be crucial to help bounce back when the worst does happen to a forestry plantation. Therefore, not only insuring the trees is required, but considering the right amount of additional cover such as cover for removal of debris and cover for replanting costs is just as important after an event has taken place. Also considering your costs when fighting a fire with your own resources should be an important consideration as well. For brokers it’s important to work with a provider who can provide a tailored carbon insurance policy that’s designed to meet the needs of a forestry manager. At Primacy, our services, like the innovative PATH platform, mean we can help brokers find the right policy for their client’s needs, no matter what the weather throws at them. To find out how Primacy’s carbon insurance policy can be put to use protecting Australia’s forestry, contact our team today.